In 1915, a traveling shoe salesman covering Southwest Texas decided to settle down. 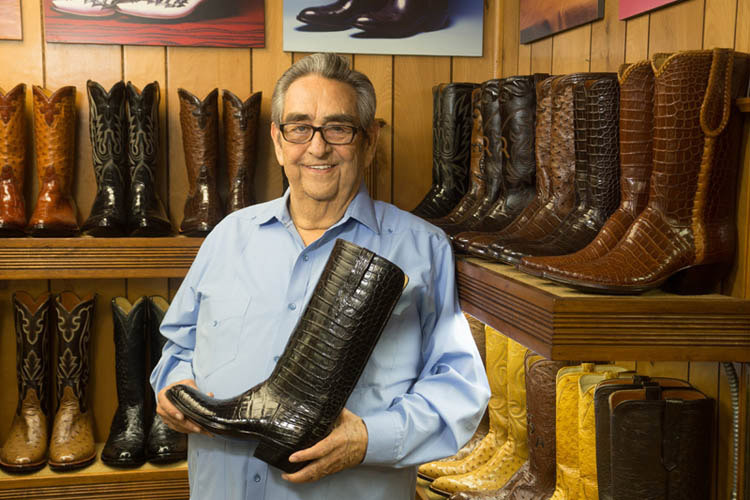 Lucien Little opened a shop in San Antonio selling and repairing shoes that would evolve into one of the finest custom boot makers in America. 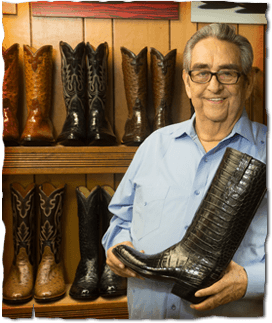 Lucien's son Ben (Dave Little's father) started making boots - the shop's rancher and cowboy customers needed heavy boots for working, boots that could take a beating, sloshing through bogs and creeks, maintaining a firm grip on sand and sod. Ben Little's boots earned a reputation for endurance and particularly, good fit. In the 1940's, the ranchers and cowboys were moving into the city to participate in the booming business coming through San Antonio. 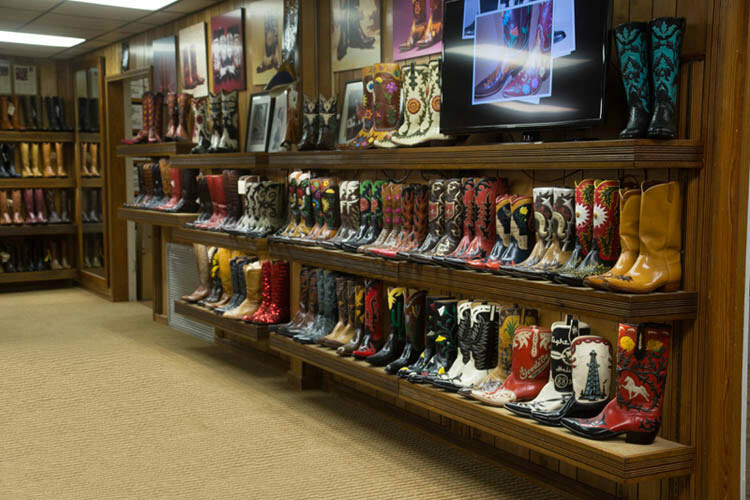 They didn't want to give up their boots - Ben Little's boots fit well and they helped carry the independent, hard-working spirit of the ranch into the offices, factory floors and stores. Ben began designing fancy boots, with pointed toes, pitched heels and decorative inlays, overlays and dense rows of stitching. Ben's sons, John and Dave Little grew up in the shop, watching and learning every phase of the business. The Little's process for obtaining a good fit evolved into a unique system that helps the artisans at Little's shape your boots. After Ben Little died in 1966, the sons took over the family business. John Little, Dave's older brother, continued the family tradition. In 1975, Dave began the transition of the Little's Boot into a western cowboy dress boot of distinction. 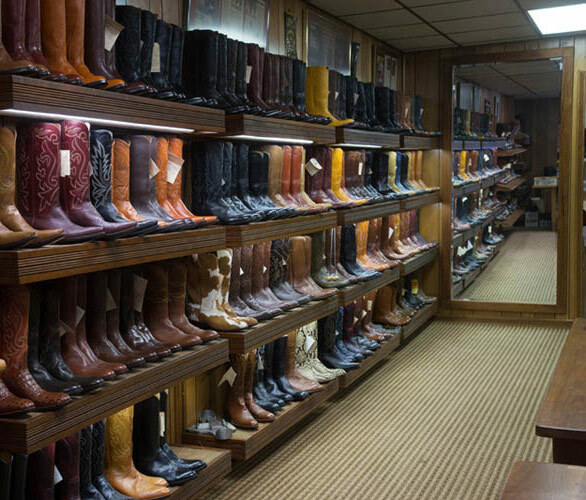 A combination of quality materials and outstanding craftsmanship developed over generations of western bootmaking. Dave Little's boots became famous, recognized for superb quality. Today, Little's Boot are considered legacy apparel, an ultimate expression of the wearer's personality. Working in the shop part time while growing up, Sharon Little, Dave's oldest daughter came to Little's full time in 1985 after graduating from the University of Texas at San Antonio with a Business Degree. Sharon introduced computers in the office for accounting and tracking production, orders and the mailing list. After running his own business of over twenty years Duane decided to return to the family business. Like the three generations before them, Sharon and her brother Duane are standing side by side with Dave as he works his way into semi-retirement. © 2019 Little's Boot Company. All Rights Reserved.